I love Morocco but I've always called Tangier the Tijuana of Africa. That has changed. Tangier was a neglected hell-hole for a generation. It was an international city — favored by the West and therefore disdained by the last king of Morocco. He made a point to divert national investment away from Morocco's fourth city. 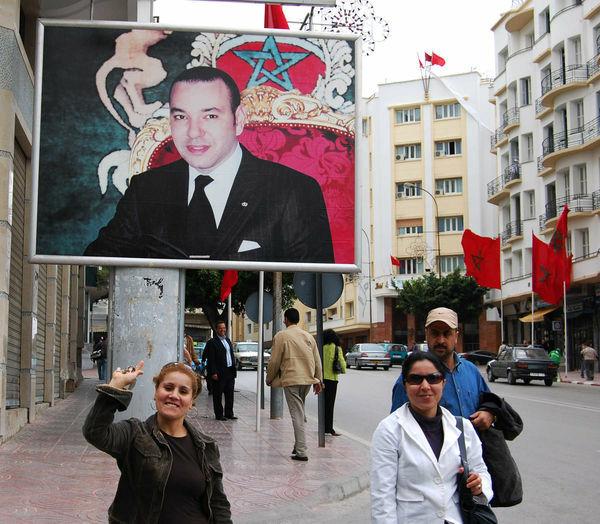 The new king, Mohammed VI, who took the throne in 1999, believes Tangier should be a great city once again. The first city he visited after his coronation was Tangier. The difference — as you'll see when you visit — is breathtaking. The place is still exotic…but likeably exotic. Restorations are taking place on a grand scale — the beach has been painstakingly cleaned, pedestrian promenades are popping up everywhere, and gardens bloom with lush, new greenery. But the hotels — and their staffs — are still quirky. Recently when I checked into Hotel Continental, flamboyant Jimmy greeted me. On a previous visit, six or seven years ago, I told him I was from Seattle. He said, "206." Now I test him again, saying I'm from Seattle. He says, "206, 360, 425…new area codes." Jimmy knows every telephone area code in the USA. Hotel Continental has you looking for the English Patient. Gramophones gather dust on dressers under dingy lights. A serene woman paints a figure-eight in the loose tiles with her mop, day after day, surrounded by dilapidation that never goes away. As I updated the information in my guidebook, I found a rare and nonchalant incompetence. My guidebook listed the hotel's phone and email data more accurately than their own printed material. It's a 70-room hotel with not a sheet of paper in its office. Roosters and the call to prayer worked together to wake me and the rest of that world. When the sun was high enough to send a rainbow plunging into the harbor amid ferries busily coming and going, I stood on my balcony and surveyed Tangier kicking into gear. Women in colorful flowing robes walked to sweat shops adjacent to the port — happy to earn $8 a day sewing for big-name European clothing lines. It's an exciting time in Morocco. The king is modernizing. His queen was a commoner. Moroccans say she's the first to be seen in public. They have never seen the king's mother. They actually don't know what she even looks like. Walking the streets, you see a modest new affluence, lots of vision and energy, and no compromise with being Arabic. Moroccans don't seem to emulate or even care about the USA. Al Jazeera blares on teahouse TVs — with stirring images of American atrocities inflicted on fellow Muslims. But people seem numb to the propaganda. I felt not a hint of animosity to me as an American — something I had been concerned about. There was no political edge to any graffiti or posters. It's a rare place where signs are in three languages and English doesn't make the cut (it's Arabic, French, and Spanish). The market scene is a wonderland of everything but pork. Mountains of brilliant olives, a full palette of spices, children with knives happy to perform for my camera. Each animal is slaughtered in accordance with Halal: in the name of Allah, with a sharp knife, head pointed to Mecca, drained of its blood. 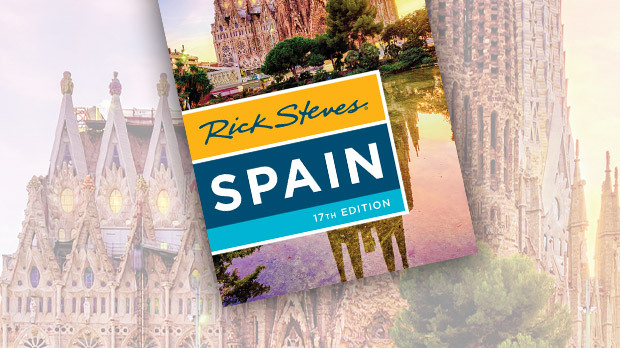 Until now I've recommended that day-trippers from Spain take the organized tour (with all the groups from Spain's Costa del Sol). A guide meets you at the ferry (after the hour-long ride from Spain) and they take you on a bus tour of the city, walk through the old town, have a few staged Kodak moments: camel ride, snake charmer, and Atlas mountain tribal musicians. Then you go to a clichetic restaurant where you eat clichetic food with a live band and a belly dancer (which has nothing to do with Moroccan culture — but tourists don't seem to care). Finally, you visit a big shop. They must make a healthy commission because the round-trip ferry ride with the tour (about $70) costs essentially the same as the round-trip ferry ride without the tour. During my stay I met gracious Moroccans eager to talk and share. About the only time I saw other Western tourists was when I crossed paths with one of the day-tripping tour groups. Those on the tours walked in a tight single-file, clutching their purses and day bags nervously to their bellies like paranoid kangaroos, as they bundled past one last spanking line of street merchants to get safely back onto the ferry to Europe. I was so comfortable and they were so nervous and embattled. The pathetic scene reminded me of some kind of self-inflicted hostage crisis. Do yourself a favor — visit Tangier on your own.